Explore Our Expanding Math Games Collection! We hope you and your students are enjoying the math lessons on iKnowit.com! Did you know we have more than 370 lessons live on iKnowit? We do! We're constantly adding new lessons and features, so there's always something exciting for you and your class to discover together! Pre-Order iKnowit for Your Class! "I Know It" is free through August 1, 2018. 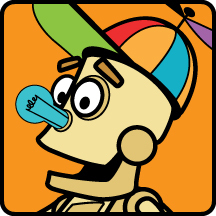 If you enjoy using iKnowit.com with your students, consider pre-ordering a subscription to iKnowit for next school year! To pre-order, or to request a quote, please go to our pre-order page for more information. Hip hip hooray for our first iKnowit giveaway! 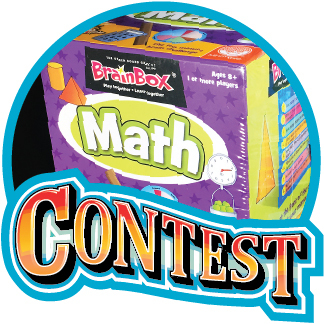 This month we're giving away a set of Brain Box games, including activities for science, nature, inventions, math, and art. It's free to enter, so go to our contest page to put your name in the drawing! It's easy to assign iKnowit math lessons to individual students based on their differing math abilities! Just click the check mark next to the lesson you want to assign, choose "assign to some students," and select students from your class roster! Check out this post on the iKnowit blog to learn about a fun activity that teaches kids about place value! This two-player game is sure to be a hit with your students! Follow the link below to read the article. Thank you for using iKnowit! We're thrilled to see more and more teachers signing up for iKnowit.com and using our interactive math games in their classrooms! If you've been using iKnowit with your students, make sure you spread the word to your fellow teachers, family, and friends!